Several teasers and spy images have eluded perhaps the most imperative of all the debuts at the 2012 New York Auto Show. Also claimed to be one of the best debuts under Chrysler portfolio, the 2013 SRT Viper has been photographed unofficially. 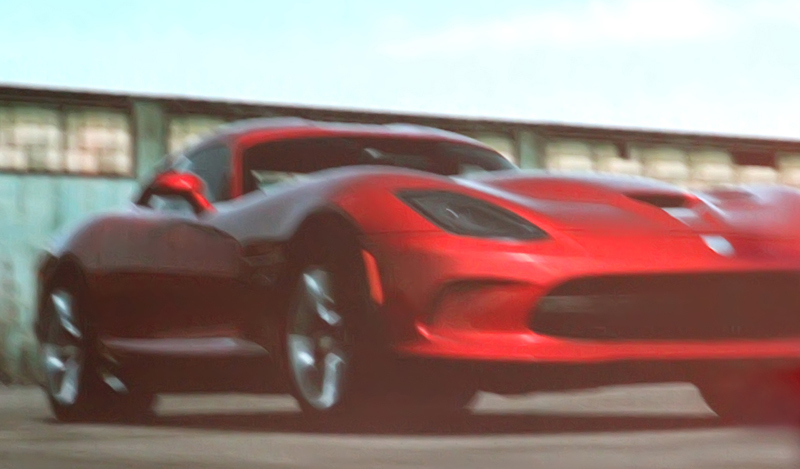 Despite Chrysler’s efforts to keep the wraps on until the New York unveil, an anonymous tipster gave in some video screen captures of the 2013 SRT Viper to insideline. The magazine speculates that the screenshots are from the presentation promo of SRT that will play at the official unveil at New York Auto Show. After all the spy shots, teasers and renderings, the real deal is here and the 2013 snake looks stunning as ever. 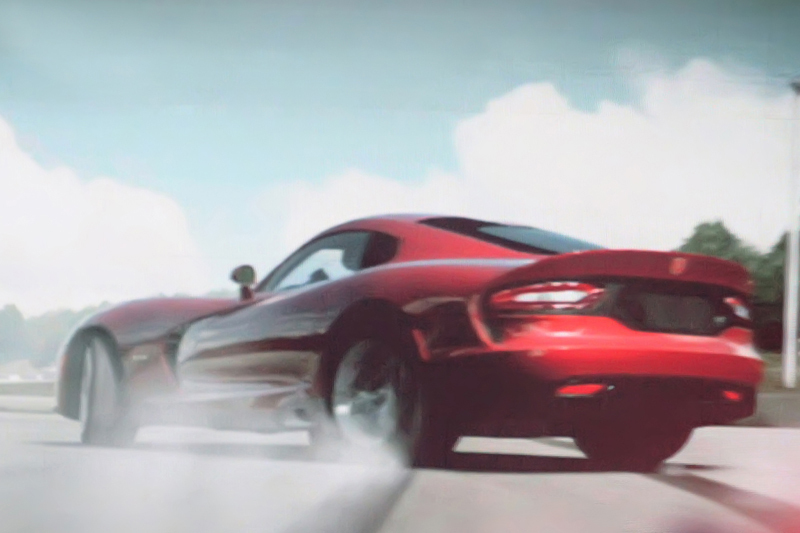 From the images we make out that the 2012 Viper is largely based on the predecessors with minor hints of European elegance following the recent venture of the American brand with Fiat. It features double-bubble roof, hood scoop, fender vents and side exhaust similar to the traditional Viper theme. 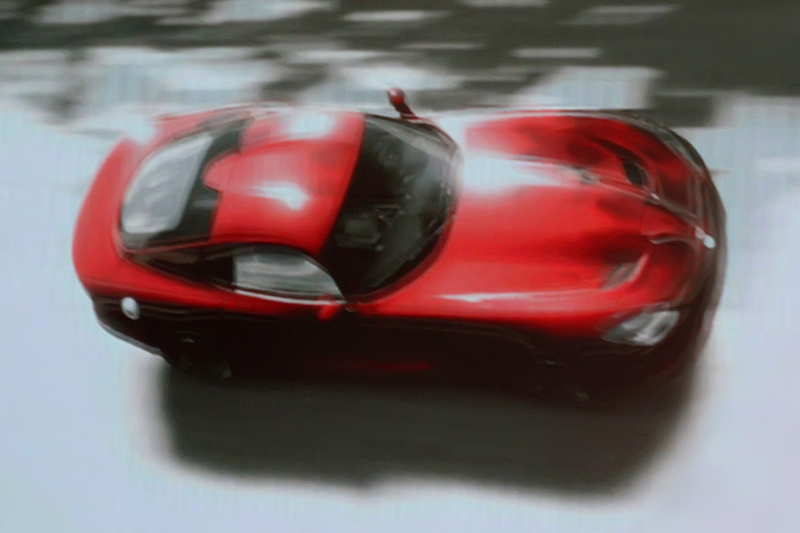 There is also glimpse of the Alfa Romeo 8C in its subtle curves. We shall bring you more after the official unveil at the 2012 New York Auto Show kicking-off today.